A fuel cell that utilizes lignin - one of the most common biopolymers and a cheap by-product from paper manufacture - has been developed by researchers from the Laboratory of Organic Electronics at LiU. A tree contains about 25% of lignin. This biopolymer forms strong and durable wood by gluing the cellulose fibers together. Since cellulose happens to be the preferred component for making paper, this lignin is dissolved in either the sulfite or sulfate process during the chemical manufacture of paper pulp. In addition to being cheap and readily available, lignin contains a large number of hydrocarbon chains that are woven together. In an industrial process, these chains can be broken down to its energy-rich constituent parts called benzenediols. Among these, catechol accounts for 7% of lignin. Headed by Professor Xavier Crispin, scientists from the Organic Energy Materials group at LiU have found that this kind of molecule serves as an excellent fuel alternative and thus can be used in fuel cells. Hydrogen gas is a fuel that is most commonly used in conventional fuel cells. This gas reacts with oxygen present in the air, converting the chemical energy in the fuel cell to heat, electricity, and water. But, most of the hydrogen gas (96%) produced across the world comes from non-sustainable sources and is accompanied by the emission of carbon dioxide gas. Methanol and ethanol are other types of fuels used in fuel cells, but these also generate carbon dioxide as a by-product. In order to attract the fleeing electrons, the electrodes are generally made from platinum but this metal is not only costly but also scarce. Since benzenediols are aromatic molecules, metal electrodes cannot be employed in fuel cells based on benzenediols because the reactions are slightly more complicated. As a result, the team used electrodes made from PEDOT:PSS—a popular conducting polymer. This type of polymer conducts electricity, which is an interesting property of conducting electricity, and simultaneously has an excess of protons. This means that the polymer functions as an electrode as well as a proton conductor. The fuel’s chemical energy is changed to electricity without the formation of carbon dioxide. When a fuel such as ethanol is used in a fuel cell, people usually claim that it has zero impact on the climate since the carbon dioxide is a component of a circulation. This means that ethanol is considered to be a green fuel. We can now manufacture electricity without any emission of carbon dioxide at all, which makes our fuel supergreen. The technology also both cheap and scalable. So far, only a few research teams have explored PEDOT:PSS as a potential material for both catalyst and electrodes. “There is a fundamental lack of knowledge about PEDOT:PSS within electrochemistry,” concludes Xavier Crispin, as he happily introduces principal research engineer Mikhail Vagin and doctoral student Canyan Che, who are part of the team that has researched on the fuel cell. The team has estimated that the amount of electricity generated by the novel fuel cell is roughly the same as the existing fuel cells based on methanol and ethanol. “An efficient method to produce catechol from lignin is already available, and we are first in the world to demonstrate a fuel cell that uses fuel from this forestry raw material,” concludes Xavier Crispin. Improving and optimizing the function are all that remains. The results of the study have been reported in the scientific journal, Advanced Sustainable Systems. 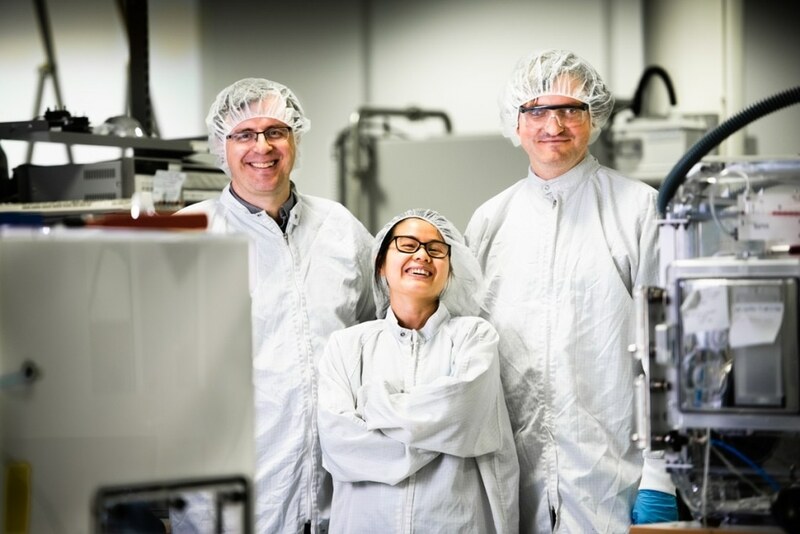 The study has been performed with support from the Digital Cellulose Center, funded by Vinnova, and is also part of the government’s strategic investment in advanced functional materials (AFM) at LiU. Zonetta English discusses her goal to find the ideal technology to turn wastewater into renewable energy. Her findings on thermal hydrolysis will be discussed at Pittcon 2019. Geoff Pocock, Managing Director and Founder of the Hazer Group talks to AZoCleantech about how the Hazer Process is producing clean hydrogen with Near-Zero Carbon Emissions. Dr Michael Hardman from the School of Enviroment and Life Sciences from Salford University talks to AZoCleantech about relocating the growing of food to urban areas. This product profile discusses vapor pressure in crude oil. Rooftop monitoring system for photovoltaic systems. The ADU-500 Data Logger is an ultra-low power, wireless RTU with data logging and alarming capabilities. The battery-powered RTU integrates two analog inputs, three digital inputs, one pulse counter input and several excitation options for powering measuring transducers. How are Thermal Power Plants Polluting the Environment?